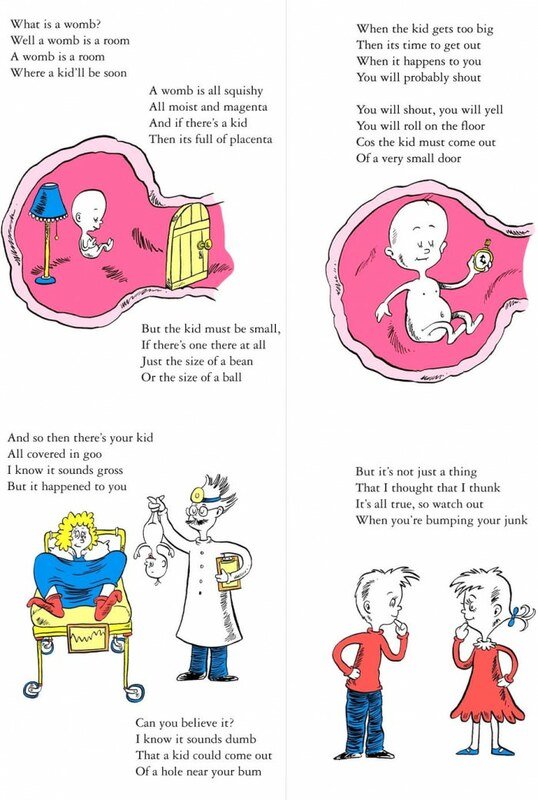 We all love the books of Dr. Seuss – but what if he were to write about the ever-entertaining aspects of pregnancy? Someone from the amorphous internet graced us with this hilarious rhyme. If anyone knows who originally created this cartoon, please drop me a line. I’d love to give them credit, but I can’t seem to track them down.